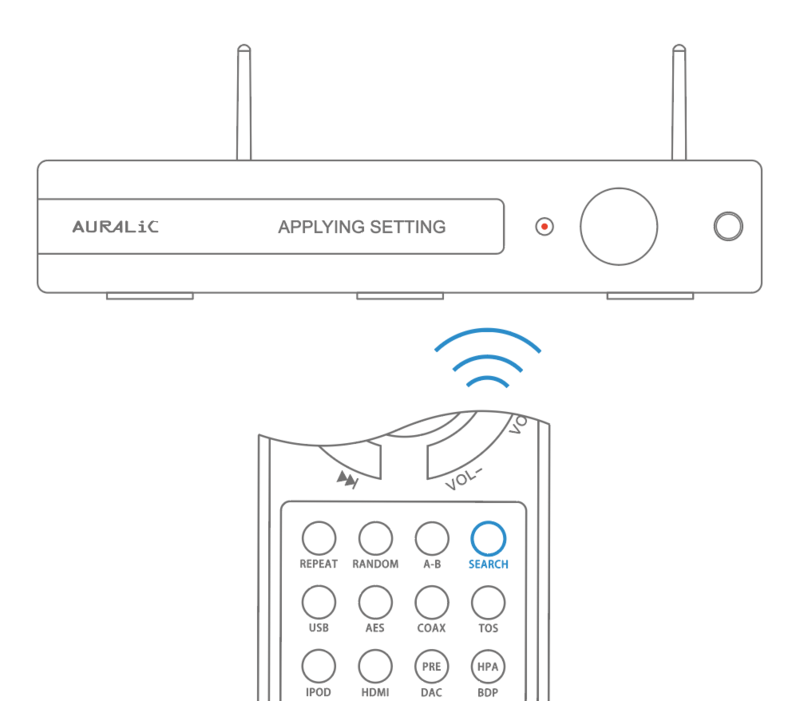 If you are not able to find ALTAIR in your home network, you may need to start WiFi hotspot mode and instruct it to join your home network again. To start WiFi hotspot mode, you can use device menu or remote control. Please refer to this article to start WiFi hotspot using device menu. To start WiFi hotspot using remote control, please press and hold the 'SEARCH' button on remote control for 5 seconds till you see 'APPLYING SETTING' text on front display.